It may be a bit weird to you but I have a hobby that I never really talk about on the air. I collect Buffalo Breweriana. What is that? Basically I collect items from Buffalo and Western New York breweries like: Simon Pure, Iroquois, Koch's, Genesee, Phoenix, Stein's, Schreiber's, Beck's, and many more. Many years ago, Buffalo was a beer brewing mecca with many breweries making beer right here in Western New York. 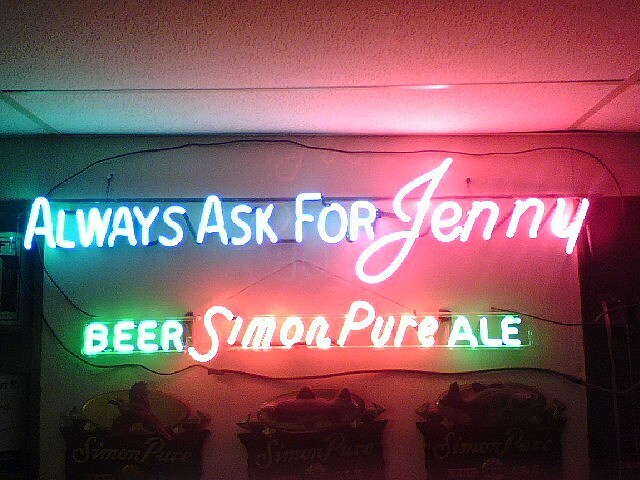 I am always on the look out for really old Buffalo beer items: neon lights, signs, coasters, taps, even old cans and bottles. Pictured in this photo are two of my prize neons from the 1940's. If you ever come across anything like this, you can always call me or email.